Episode 179 is live! This week, we talk with Chip Conley in San Francisco, CA. Chip is a New York Times Best Selling Author, a hospitality entrepreneur, a disruptive business rebel, and a social change agent. He currently serves as a strategic advisor for Airbnb. He is also on the boards of Burning Man, and the Esalen Institute. And, he’s the founder of the Modern Elder Academy. To learn more about Chip’s work, visit his website at https://chipconley.com/. You can also learn more about the Modern Elder Academy here https://chipconley.com/modern-elder-academy. Thank YOU for listening! If you’ve enjoyed the show today, don’t forget to help me out. Subscribe on Apple Podcasts! When you subscribe, it helps to make the show easier for other job seekers to find it! Episode 148 is live! This week, we talk to John Tarnoff in Los Angeles, CA. Welcome to the Copeland Coaching podcast. I’m your host, Angela Copeland. On the phone with me, I have John Tarnoff in Los Angeles, CA. 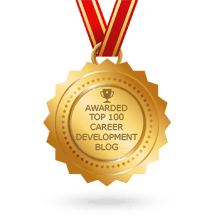 John is a reinvention career coach who works with baby boomer and late career professionals looking to defy ageism, ignore retirement, and pivot to a new job or new business as a second act or encore career. He is the offer of “Boomer Reinvention: How to Create Your Dream Job Over 50.” He also gave a TEDx talk called, “The Kids are Still Alright.” John, thanks for joining me today. Well I’m so excited. I mentioned before we got started, I think this topic is going to be incredibly relevant to our listeners, and so I’m just super-excited about it. Well, so from your perspective, what has happened that’s actually impacting baby boomers in a negative way in terms of their jobs? JOHN TARNOFF: Well there are three factors that I kind of grudgingly like to call this the boomer trifecta, and really, this just no longer applies to boomers, because GenXers, the oldest GenXers are now over 50. So this really applies to anyone today who is moving into their late career. And the three problems are this. One is longevity. You know, we’re all living and going to be living even longer, certainly, than our parents did, and the advances are so rapid. I mean, according to the Census Bureau, if you hit 65 today, you have a 25 percent chance of living past 90, and the longer you live, the longer you’re going to live. So that’s one factor. So we’ve got a lot more time on our hands. The second factor is low savings. I don’t think the boomers are the only generation walking around now that has under-saved for retirement, particularly considering the first factor. We’ve got to make that savings last a long longer than our parents did. And we don’t have a lot of money in the bank, and there are very few institutional opportunities to really build wealth for the average person. And then the third problem really is job discrimination, and on the one hand, you can look at it and say, there are insufficient jobs for older workers, but at the same time there’s a tremendous amount of ageism, and there’s a real disconnect between our understanding of what older workers can do and our appreciation of keeping them in the job force and what they represent. ANGELA COPELAND: I think you’re right. I really like the point that you made about savings and money. I actually saw something recently that talked about sort of the transition from having a pension to having to save on your own, sort of like in your own 401k, and what I was reading mentioned that Generation X in particular is very under-saved, I guess you could say, because we had to proactively do it, and a lot of companies saw that and they’re starting to automatically enroll millennials in savings plans, which is kind of helping to correct the issue, but that’s really interesting. JOHN TARNOFF: We all need a lot of help, and thinking about all the generations now that are in the workforce, the problem that certainly GenX has to a degree and millennials to a staggering degree is school debt. So this is something that the boomers didn’t have, and I’m a big promoter of cross-generational, multi-generational support. So I believe that contrary to the views that a lot of boomers have about millennials, I think the millennials are a sensational generation and have a lot on their plate to handle that makes their lives quite a bit more challenging professionally than what we had when we were coming up. ANGELA COPELAND: Oh, I totally agree. I think it’s a very complex issue. Well so, as we’re going through this change, it’s incredibly painful, it’s difficult. Why do you think that is? Why is it so difficult for us, and kind of what can we do to cope? JOHN TARNOFF: Right. Well, I think we’re in the midst of a social-cultural revolution in terms of our attitudes about life and about life stages. I think certainly when my generation was coming up and perhaps to a certain extent your generation, the paradigm was, you get into education, you get a good job and you’re entitled to a good career because you have a good education, and if you kind of fly right and keep your nose clean, that entitles you to essentially work for 40 years and then you get to retire. And as we know, that is gone. That whole idea is gone. So there’s a shift that I think we all have to make towards a very different sense of what the life stages are. And the first thing is that education is lifelong. Right? You can’t coast on your degree or your diploma through life. You have to constantly be reeducating and continuing to educate and to build skills and build awareness and stay up to date. So the first stage is not so much about education to me. It’s about self-awareness. You have to know who you are, what you like to do, what you want to do, what’s going to sustain you, what’s going to really fulfill your sense of values and purpose. And I think the millennials are actually doing a pretty good job of making that job one. And then instead of this idea of the career, where you’re kind of punching and showing up to work every day, you really have to challenge yourself to be generating value. So it’s this generative period of your life. I don’t know if you’re familiar with the psychologist Erik Erikson, but he talks about this period of generativity, usually kind of middle age, where you’re really kind of at the top of your game, you know what you’re about, you’re delivering great value across every aspect of your life, and that really is the challenge for all of us, kind of getting right out of the blocks and sustaining our careers. And then the third stage is not retirement anymore. The third stage, I believe, is giving back. It’s about service. It’s about taking everything you’ve learned and you’ve done over your career, your lifespan, this generativity period, and giving it back, and spending the rest of your life imparting the wisdom and the value that you’ve learned to the next generation. ANGELA COPELAND: I love that. JOHN TARNOFF: So that’s the real shift that we’re dealing with, and I think change is always difficult. We aspire to change, but at the same time it’s scary. So I think perhaps the idea that there is a way forward and that we can pivot, that we can learn, and the work that you’re doing, that I’m doing, with the clients that we work with and vehicles like this podcast, I think are helping to encourage people and reassure people that change is possible. JOHN TARNOFF: I think there’s a lot of fear out there, and that’s kind of a human trait as well, this kind of fight or flight response. And I think you’ve just got to be strong, you’ve got to do your research, you’ve got to present your case, and you have to believe in yourself at the ned of the day and be able to understand and communicate the idea that times have changed, and as much as it would be great to go back to the way things were, and I don’t want to get into a political conversation, but I think we have to be future-focused. ANGELA COPELAND: Right. That’s just where it’s at. You know, I watched your TEDx talk, and it was excellent, and you joked about making it into a lifestyle, like transitioning different jobs. I think you’d said that you’d had 18 jobs, and I was looking through—You’ve worked with some really incredible companies, like MGM, Orion Pictures, Columbia Pictures, Dreamworks Animation. And you mention in your talk that you really struggled to see this as a positive thing until somebody else pointed it out to you. And I’m curious kind of what happened that changed your perspective. JOHN TARNOFF: Well I joke in that talk about the fact that in doing the math on my 18 jobs in 35 years in the entertainment business that I was fired 39 percent of the time. And I joke about that, and it always gets a laugh, because who does that? Who calculates the amount of times you’ve been fired in your life. It’s something that you think about it being shameful. And my kind of self-mission and part of the larger mission is to really turn that idea around, that getting fired today is not shameful. It really is not necessarily about your performance or about who you are as a person. It’s about fit, and things are changing so fast, if you think that getting fired is a traumatic experience, and it is, and it is up there with death and divorce, but you also have to look at it from the corporate perspective. Companies are fighting for their lives, they are being disrupted out of business, the economy is in turmoil in many, many ways, and the most secure brand names are in danger of going out of business. So if you look at the Dow Companies today on the stock exchange, they’re very different companies from the companies that were there 20 years ago. So I think that you have to be able to reframe these limiting beliefs about who you are and what you can do and what your career is about and be willing to look at the lessons and the positive way of interpreting your history and your experiences. I mean, at the end of the day, what choice do you have if you’re going to keep going but to figure out how to positively assess it and learn the lesson that’s going to help you go forward, as opposed to continuing to complain or bemoan your fate? That’s not getting you anywhere. ANGELA COPELAND: Absolutely. Well you work with clients, I know, on this exact issue. How long does it take us, usually, to move through that emotional piece? Is it a few months? A few years? Like, what seems normal to you in terms of how long it takes? JOHN TARNOFF: You know, it really depends on the individual, and I think that, you know, unfortunately, for many people who have been in jobs for 10 or more years have such an identity with the job that they worked in, the company, the mission, and particularly the people and the social aspects of the work, that it becomes a devastating loss, I mean very, very much like a death or a divorce, where you really feel alone. You feel rudderless. You don’t know what you’re doing or where you’re going when you wake up in the morning. So it really does differ from client to client, and it could be a period of three months. It could be a period of six months, a year. Some people kind of make it to a certain point where they can function, but they continue to harbor resentments or a sense of humiliation or shame that can persist for years. And one of the things that I try to work on with many clients who are in this situation where they’re doing kind of okay, they’re kind of halfway there, but there’s still stuff holding them back that they don’t really want to reexamine or think about is to go back, particularly after many years, and look at those obstacles that are still standing in their way, this sense that we all have baggage. And particularly I think older workers, because you’ve been around a long period of time, there is likely going to be some experience or set of experiences that you don’t want to think about but they really need to be resolved if you’re going to move forward. ANGELA COPELAND: I like the fact that you mentioned that it’s really our identity, in a way, because I think a lot of times when we go into work, maybe we tell ourselves, you know, “I have a family, I have hobbies. This isn’t my identity. This isn’t my life.” And then when you do get laid off, it’s like, “Oh my gosh, this was my identity.” And I’ve at least observed in a lot of people all those negative feelings that they have, they almost try to not deal with it because they don’t want to think about it or they feel like they shouldn’t feel bad. And I feel like it takes even longer to get over it if you don’t sort of get mad in the beginning. If you’re putting it off, putting it off, it’s like, it’s just, you’re carrying it around in some way if you don’t kind of process it. JOHN TARNOFF: Well I think that’s right, and I think there are techniques that you can work to help overcome these lingering feelings and these limiting beliefs that you have about your identity. One thing which I think is really important: our language tends to be a real indicator and an affirmation of what our belief system is. So you’re at a cocktail party and someone says, “What do you do?” and you say, “I am a.” You know, accountant, lawyer, whatever. You’re not saying, “I work as.” You’re saying, “I am.” So those subtle language habits that we have reinforce this identity problem that we face. And the minute I think we start to understand how we are the agents of our own imprisonment in that limiting belief, it becomes easier to detach from it and to go, “Oh, okay, I have a choice here. I have a choice between characterizing myself as that job and understanding that I just worked at that job.” And these subtle shifts in point of view can represent enormous opportunities to move forward and to change. ANGELA COPELAND: Gosh, that’s an incredibly good point, you know, just even how you talk about it, and I think speaking of how we talk about ourselves, one of the times that we end up having to talk about what happened is when we’re in a job interview and we’re asked, you know, why we left our last job and we have to kind of face it. I mean, what tips do you have for us on how to talk about this issue when we’re in a job interview? What can we say? JOHN TARNOFF: Well, the overall thing you have to do is you have to be really, really prepared for this question. You have to be prepared to talk about and anticipate all of the uncomfortable things that the recruiter or hiring manager is going to throw at you. So you’ve got to look through that resume, you’ve got to look at all of the jobs. You’ve got to be able to talk about why you left each one of those jobs, and the ones that you left on your own, those are going to be the easy ones. The ones where you were negotiated out or laid off or fired, those are the challenging ones, and you have to be able to be open, vulnerable, self-deprecating about it, and have a little bit of a sense of humor, because guess what? This is a drill. The person who is asking you that question may be uncomfortable about their own career and in their own career the times where they were fired. And look, they may be fired tomorrow. You just never know what’s going on. Right? And they never know what’s going on. So to have that understanding that this is not someone you’re talking to who is a kind of invulnerable authority, but just someone like you who is in a job who is just trying to get a sense of who you are and how your mind works and how resilient are you and how self-aware are you, how emotionally intelligent are you. Those are the factors that will I think help you to go, well, as you can see, it was not of my own choosing to leave that job. Ha ha. But here’s what happened: this was a political situation, or we had a difference of agreement, or someone came in who had a different personality from me, and we tried to work it out, but I have to confess, I may have made some mistakes. And I think a mistake I made was to do this. Don’t belabor it, don’t kind of go into a sob story about it, but just show that you have learned from that experience, and figure out a way to show how the lesson that you learned through that challenging experience makes you a stronger candidate for the job you’re interviewing for. ANGELA COPELAND: That’s really good advice. You know, I’ve also heard the advice of, when someone asks what happened, that you might say, “The company and I mutually agreed that this was not a good fit,” and you kind of avoid the word, like, “fired,” or anything. I kind of have mixed feelings about that. I’m curious: what do you think about saying it was mutual? ANGELA COPELAND: Right. I totally agree. I think a lot of decisions in an interview are made based on things that are a little bit less tangible, like how someone feels about you, or that kind of thing. JOHN TARNOFF: Absolutely. It’s all about gut. It’s all about gut. Because at the end of the day, you’re going in there, skills are great, but I think as we get older, skills are less important, the hard skills are less important than the soft skills, because the soft skills, and that goes to leadership as well, are what makes us want to go into work with someone in the day. Right? And we are working in so much more of a team-oriented environment, where teams have so much more autonomy and independence to work together, where they are jointly responsible for the outcome of the projects that they are working on, that if you’re not a good fit for that team, you may absolutely the best skill set ever, but they’re not going to hire you because they don’t want to work with you every day. They would rather find someone who may not have the skills and maybe they can teach them the skills or they believe you have the wherewithal to jump in and apply yourself and learn the skills, but they really want to work with you because you’re a leader, you’re self-aware, again, emotionally intelligent, you know, you’ve got a sense of humor about yourself, you’ve got an ability to lead people, to work together, all that stuff. ANGELA COPELAND: I totally agree. I totally agree. Well let me slip in one more real-life example and just get your take on it. I recently met someone who is a C-level executive, and the person had been just a fantastic employee. They actually went from, let’s say, Company A to Company B with the same CEO. So the CEO left Company A, went to Company B, hired them, brought them along, and they had been working with that person for maybe 15, 20 years, a really long time. It had been a great relationship. And eventually this CEO retired, and a new CEO came in, and within a week of that CEO coming in, they cleaned house, and this person was one of the people who was let go. And it wasn’t performance-based. It just happened. Right? So for somebody like that, how would they explain it in a job interview? JOHN TARNOFF: I think pretty much just the way you explained it. JOHN TARNOFF: In a funny way, those are easier conversations to have, because if you were part of a sweep, then it’s really clear that it wasn’t just you, it was the entire management team. And even if it wasn’t. Even if it was just you, I think in that instance, what you’re talking about, and it’s interesting, I have a profile in my boomer reinvention book about a guy who was in a similar kind of a situation, and he had worked for a long time with this company because he was protected, in a way, by the EVP who ran his division, and as the company began to go through changes and challenges, and there was a lot of instability, the EVP left. He quit because he had had enough, and he went to his report, this executive that I profile in the book, and said, “Look, I’m leaving. I wish I could protect you, but I don’t think I’ll be able to protect you.” And sure enough, within about a year, they let the other guy go. ANGELA COPELAND: I love that. It’s so clear. ANGELA COPELAND: Ooh, I like that. That’s a great way to turn it around. That’s a great way to turn it around. JOHN TARNOFF: So so much of this, and you had asked me this before we got on the call, about what’s the first step to turning your career around, and it is, as we’ve talked about a lot in this conversation, all about reframing, the idea that you take a situation that you think is a negative situation and you figure out a way to turn it around. And it’s not about embellishing it. It’s not about BSing. It’s really about drilling down to the essence of what that is about, that situation, and from your own heart and soul, coming up with the strength that’s inside you to reframe it into a positive. ANGELA COPELAND: Absolutely. I like that a lot. Well so let’s switch gears a little bit. I want to touch on something else that you mentioned in both in your TEDTalk and your book which I really love and really agree with. You said, your resume won’t get you hired. JOHN TARNOFF: Right. Right. Well, welcome to the electronic world. Right? And I think this is, you know, well, look, here’s the deal. You need a resume. You need a good resume. And particularly I think when you’re younger and you are still in a period where your skills are what people are really looking for, you need to have that resume really tight. You need to have your keywords all lined up, because that resume is going to get ingested, it’s going to get scanned, and hopefully your keywords and your layout are going to get you to the next level. But ultimately, at any level of employment these days, 85 percent, something like that, 85 percent of jobs are filled through referrals. And I just really know that when I was in my entertainment career, when I was in the position to hire someone, I would seldom expect that I was going to fill that job through HR, through posting the job and getting resumes. I would always pick up the phone and say, “Look, we have an opening. Who have you got? Who do you know?” And I would always network to the candidates that my network felt were the most trusted and appropriate for that position. And I would say, you know, probably in the same ratio, about 80 percent of the time, I would hire from that pool. So the strategy is, you want to be in that network that’s going to refer you, so that the phone call comes to you as opposed to you having to knock down the door and get through all of those obstacles and those anonymous email addresses that you’re submitting to to find a person at the end of the phone who is actually the recruiter or the hiring manager for that position. That’s hard work, and that’s difficult work, and that requires a lot of cold-calling fortitude to be able to knock down those doors. Much better to develop the relationships. ANGELA COPELAND: Oh, absolutely. I think the thing that doesn’t help us in this whole situation is that the HR team of a lot of companies give the message to job seekers which is, “Apply online. If you’re a good fit, we will call you.” And somehow we’ve learned to kind of believe that in a way, and you know, I meet job seekers often who have applied to, like, a hundred jobs online, and they just can’t figure out what they’re doing wrong. JOHN TARNOFF: They don’t get a call back. Well, they’re not doing anything wrong. They’re doing everything right. It’s a numbers game. You know. That’s the problem. The problem is, their resume is either being scanned and rejected, and it’s hard to know what are the criteria that they’re using to scan and reject that resume, because you can’t talk to anyone. And then if it gets through to the next level, who’s looking at the resume? Is it the hiring manager? No. Is it the recruiter themselves? Probably not. It’s probably an assistant, or, worse, an intern, who is given that terribly mind-numbing task of sifting through 150 resumes to come up with 10 candidates. I mean, come on. It’s a thankless job to be in recruiting and HR today, just absolutely thankless. You know? So you’ve got to cover your bases, absolutely, but I would not believe in the possibility of success from that. I would really spend most of your time concentrating on the companies you want to work with, the people that you could meet at those companies, the relationships that you can build in your network with the people who are doing what you’re doing, doing what you would like to be doing, and getting yourself referred. ANGELA COPELAND: I think that’s great advice. Well, so, as we’re looking and maybe we’re getting these referrals and we’re getting in for interviews, one thing, I was actually talking to someone yesterday who had this issue. Early in her career, she was very, very successful, and now he’s looking at different types of jobs. She’s looking to reinvent herself. And she’s getting a lot of feedback that she’s just over-qualified, and she’s having a hard time moving through the process because of that being over-qualified. What can we do if we receive this feedback on kind of a regular basis that we’re over-qualified? JOHN TARNOFF: “No one’s going to hire you for those jobs, because they’re going to look at you’re background, and they’re going to, ‘Oh my God. You know, why would I hire this guy for this job? '” So it becomes more challenging as you get older because those jobs are fewer and farther between, and guess what? Back to the 85 percent question, a lot of times, the jobs that you are going to want as an older, more experienced worker, are jobs that are not posted. These are jobs where they’re sitting around in the conference room going, “You know, wouldn’t it be great if we could find someone with this mix of skills who could help us solve this problem? Like, should we post it?” “Nah. We can’t post for a job like this. Who do we know?” So be the person who knows the person that those guys know, so that you’re one phone call away from an interview, and you go in and you say, “Oh my God, you’re the guy, you’re the woman, you’re going to be able to help us solve this problem. Oh, where have you been all our lives?” So yes, you can be over-qualified, and I think for the person that you’re talking about, this woman, I would advise her to think more entrepreneurially about, what is it that she wants to deliver? What is the value, the product, as it were, that she wants to deliver? And start marketing herself from that perspective to find the client. You know, I like to say that in any position, and I say this to my grad students as well as to my boomer clients. Today you don’t want to think of yourself as an employee taking directions from a supervisor. You want to think of yourself as a consultant providing value to a client. JOHN TARNOFF: Right? No matter what you do, whether you’re a 1099 contractor or a W-2 employee, it’s the same deal. And your resume and your LinkedIn particularly should reflect that. So if you have a period of a gap, right, between jobs, what do you do with that gap? Well, you put yourself as a consultant, because in trying to get that next gig, you are representing yourself as someone who is delivering a particular product or service, and you may get some clients, you know, you may get some gigs along the way, and then someone hires you in house. But it’s all about that value and that brand that you’re representing, and that product and service and value that you’re providing. ANGELA COPELAND: Do you find that many of your baby boomer clients are switching from full-time opportunities to more of like a consulting contract kind of opportunity as they go through this process? JOHN TARNOFF: Yeah, I am. I would say it’s, you know, probably 50 to 60 percent I would say, and I think that, you know, for some of them it’s a bridge, which is fine, and I think that the good news is that the economy is beginning to appreciate the fact that older employees are not done and don’t need to be kind of shunted off into this retirement backroom, wherever that is that they don’t want to think about, that there actually is value in keeping people on board. And there’s more and more stories about this and about how firms are loosening up these rules and keeping people on part time while they bridge to something else and encouraging people to find new ways of providing value. ANGELA COPELAND: Totally, totally. Well so, I’m curious: if you had to had to describe the one big mistake that we’re making when we try to reinvent ourselves, what is it? JOHN TARNOFF: Well, I think, you know, the first thing that I say to older workers is, watch your attitude, because I think there is a certain defensiveness that many people have. And I understand it. It’s a challenging, scary situation out there, and some people will tend to shrink up a little bit and go, “Well, I’ve been working for 30 years, and I shouldn’t have to sell myself,” or, “Why should I have to interview with a 30-year old recruiter?” Attitudes like this, where they feel like they are kind of under scrutiny and being kind of dissected, when they feel entitled to greater respect. And I think that holds a lot of people back, and in fact I think we need to approach this from a beginner’s mind and recognize a lot of the stuff we’ve been talking about in this conversation about how work works today and how employment works, and also to reframe that sense of who we are and what we can do, and open up a little bit, lighten up a little bit, really kind of reach across the desk to build a relationship with someone and find affinity. And so that I think is the icebreaker that I would recommend people start with, is think about your attitude. Think about how open and willing to be an older person in what may be a younger environment, and think about, where would you want to fit in into that space? And also to remember the phrase which we had a phrase, which we had in the ’60s growing up, which was, “Don’t trust anyone over 30.” Right? That was the ageism that my generation had about older people. And so now that we’re in that position, big time, we don’t want to be ageist. Right? We don’t want to be reverse ageist, and we want to not be those people that we were railing against back then who were kind of closed off and told us to cut our hair and didn’t like our clothes and all that stuff. ANGELA COPELAND: In terms of attitude, it makes me think of really treating that hiring manager or that HR person like they are the customer, and again, in that entrepreneurial perspective, that you’re there to sell your services, and really treating them with respect as the customer and as you would want to be when you’re the customer. ANGELA COPELAND: Oh, that’s interesting. JOHN TARNOFF: And I thought, what a great attitude, and I would recommend to everyone to have the same attitude going into a job interview. You are there to contribute what might be a possibility for that position. You’re there to learn about the company, about the person you’re sitting across from. There may be something unexpected that you learn that day from that interview, so ask some good questions, share some fun stuff about yourself, be vulnerable, be transparent, be authentic, be enthusiastic, and be unattached from the outcome. ANGELA COPELAND: That’s such a helpful story, and I know that those listening are definitely going to be interested to learn more about you. John, where can they go to learn more about you and your work? ANGELA COPELAND: Perfect. Well, I will share links to everything in the show notes so it’s easy to get to. John, thank you so much for joining me. This has been excellent. JOHN TARNOFF: It’s my pleasure. ANGELA COPELAND: And thanks everyone for listening. Thanks everyone who sent me questions. You can also send me questions. You can send me your questions at angela@copelandcoaching.com. You can also send me questions via Twitter. I’m @CopelandCoach, and on Facebook, I’m “Copeland Coaching.” Don’t forget to help me out. Subscribe on Apple Podcasts and leave me a review. Have you ever wondered if you might have picked the wrong career path? If so, you’re not alone. Ask a friend, “How did you end up in your career?” There’s a good chance they’ll say that they just happened to fall into whatever it is that they do. Perhaps they happened to get a particular internship during college that happened to lead to a job. Or, maybe their parents were connected to a certain company. Or, they had a friend who contacted them about a job. You may have started your own career out in a similar way. And, once you were on the path, you learned more about the field, were promoted, and never looked back – until now. Typically, you begin to question your career path because of a life event. For example, maybe you’re getting a little older and you’d like to do something more meaningful. Perhaps you’ve been doing something meaningful that doesn’t pay well and you need to make more money because you’ve started a family. Or, you may not like your job – plain and simple. Whatever the reason, the idea of career reinvention can be daunting. We often hear that it’s virtually impossible, or that we’ll have to start from the very bottom. Sometimes, a big career shift does require us to take a pay cut, but it’s not a guarantee. Neither is starting at the bottom. The first key to reinventing your career is to take the reins yourself. This isn’t the time to fall into another career path, or to try to get your foot in the door just to test something out. It’s time to identify possible alternative careers. Evaluate your transferable skills. What are the things that make you great at your current job that you could take with you to another type of career? For example, perhaps you’re a good public speaker or maybe you know how to organize groups of people. These skills can help in all sorts of roles. Also, think about the other skills you have that may not be spelled out on your resume. For example, you may work at a nonprofit, but on the side, you’ve been investing in real estate. Make a list of the knowledge you have that’s not outlined on your resume. Find ways to incorporate this information into your existing resume. You might add a section for volunteering, consulting, skills or leadership. Then, make a list of what else you’d like to learn to do in the future and figure out how to get there. Do you wish you knew more about computers? If so, look for classes you can take. Look for a nonprofit, or small company where you might volunteer your services to learn “on the job.” Don’t wait for your future boss to see something in you. Find it yourself, and look for ways to nurture this new skill. The best news is, your timing is perfect for change. What would you like to do differently in 2017?